Big Data Future begins today with a keynote address from Joel Gurin, Founder of OpenDataNow.com and former chair of the Obama White House Task Force on Smart Disclosure. The event begins at 7:00 PM in the Saxbe Auditorium, Drinko Hall, 55 West 12th Avenue, Columbus, Ohio. Panels will begin tomorrow at 8:30. Because the event has become so popular, please plan to arrive early to ensure your seat. There will be a first-come-first-served standby line for people who wish to come but were not able to register on time. You are also welcome to watch the conference via a webcast that can be found on our website bigdatafuture.org. Follow the “Live Streaming/Archive” tab to get to the webstream. The entire event will be webcasted and access to that webcast will be completely free. The Big Data Team at Ohio State is looking forward to this exciting week! 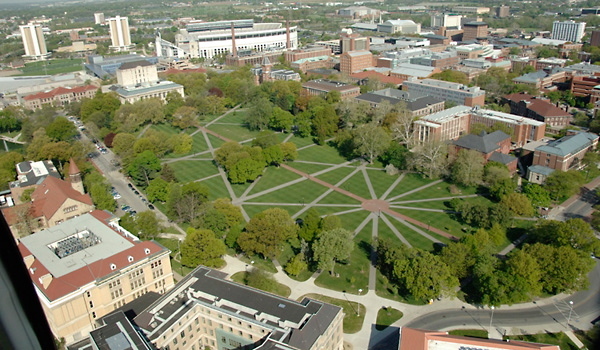 Ohio State is in the process of building a system to merge multiple student and staff data sets and systems to better understand the student experience through the analysis of the integrated data. 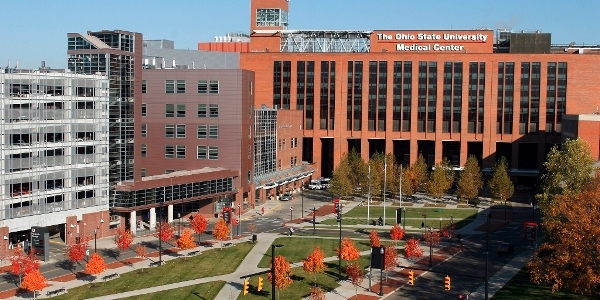 Institutional Research and Planning Director Julie Carpenter-Hubin said that Ohio State presently lacks a unified system to tie its various data sets together. Executive Director of the Center for the Study of Student Life Dr. Lance Kennedy-Phillips said that there are committees right now that are looking at how the university can connect all of its data. James Brenza, chief data officer for the Office of the Chief Information Officer, said that while a small portion of the data at Ohio State is already integrated, he is working on building up the infrastructure necessary to integrate all of Ohio State’s data. In order to merge the data, Brenza said that he is working on building the necessary infrastructure, which includes both a hardware and a software side. Brenza said enough hardware was purchased to cover his teams for the next five years. “The software side will be an ongoing stream of projects to keep going after piece, after piece, after piece,” he said. In order to get the different data sets integrated, Brenza said that each piece must be looked at individually and analyzed in a business case, where the return on investment of why you want to integrate that data must be proved. Brenza said that he will have to work with data stewards around the university, including Kennedy-Phillips, to begin integrating the data sets. Once it is completed, however, Carpenter-Hubin said that she sees a lot of possibilities for the future if this data is integrated. Kennedy-Phillips said that he thinks connecting all of the data would result in a better understanding of the student experience, which could lead to the university providing services to help students succeed. Data tampering in Columbus City Schools changed the face of the district when Columbus Dispatch education writers Jennifer Smith Richards and Bill Bush revealed the scandal in June 2012. Smith Richards and Bush often dig through public records to add data to their stories, but this time was unlike any other. They discovered that 2.8 million absences had been deleted by principals. In some cases, up to 500 grades had been changed per day. Students were also withdrawn and attendance records were erased. Doug Caruso, editor and supervisor of Smith Richards and Bush, said the day after principals were invited to meetings at data centers, thousands of records were changed. It was pretty apparent that principals were told to do this, said Caruso. The state auditor and FBI are now involved in an ongoing investigation, but prior to requesting public records in 2012, the scandal had only been an idea. Smith Richards found out that the superintendent at the time, Gene Harris, was asking principals to stop altering some of the data. She became curious and started looking into how much data was being altered and why. “So my first thought was, we were on to something big and we needed to expand on it and that we needed to get more information about it,” said Caruso. This specific set of data took months to get, but on average, public records take about six weeks. The requested data contained 200 spreadsheets and data files, said Smith Richards. “And so we just have to know that whenever something becomes available, we have a limited amount of time if we want to break news out of it,” said Smith Richards. Other news outlets typically request the same public records, making it even more important to get the story out first, said Smith Richards. The first story published was about the millions of absences that had been deleted during the course of several years. This school year, significantly less absences have been deleted. “I mean think about it, if you get caught doing something you weren’t supposed to be doing, whether you had bad intent or not, and you know that somebody is watching you, I think you’d probably change your way,” said Smith Richards. To this day, Columbus Dispatch reporters still use the same data sets they used to write the first story. So far, 130 stories on data tampering have been written using the original data sets. The use of big data, and the Fisher College of Business’s recent partnership with IBM, has Columbus on the way to becoming a smart city. 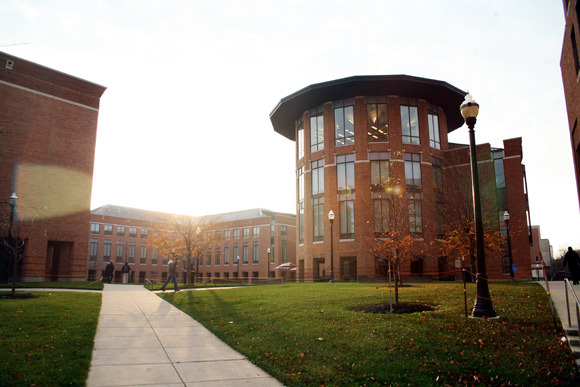 The recently built IBM Data Analytics Center in Columbus partnered with the Fisher College of Business to create a curriculum for undergraduates in analytics, according to Scott Cook, an IBM spokesperson. IBM selected Columbus for an analytical center because of its central location. The city has the second highest number of college graduates in a 200-mile radius, and IBM has had a presence in Columbus for 85 years, said Cook. Businesses are moving toward using big data in order to keep up with the competition. The competitive edge will come from students who are educated enough in analytics to help them use data more efficiently and make better decisions. The Fisher College of Business is also interested in using big data for themselves with the help of IBM, said Ralph Greco, the Director of Business Analytics at Fisher. Colleges at Ohio State can use big data to look at students applying for admittance and determine which of them are most likely to find a job after graduation. “By studying data on the students who graduate and immediately find a job, colleges can create a model of an ‘ideal student’ that they can use during their admittance process,” said Greco. Students should not only be able to use big data to think of the right question and then find the answer, but also to know what to do once they have that answer. Education on analytics is the first step toward creating a smarter city, said Greco. The implementation of big data plays a vital role in the process a city takes towards becoming a smart city. “A smart city is one that uses data as an infrastructure to make other infrastructure more effective,” said Harvey Miller, the Reusche Chair in Geographical Information Science at Ohio State. The use of smart phones throughout cities means people are constantly sending out data. GPS services on phones allow big data to be collected at an individual level in real time. Miller says this type of data collection is unprecedented. Big data is collected in a smart city in areas such as transportation, energy and water use, crime rates and economic activity. Miller does not think the idea of a smart city is on anyone’s radar screen at Ohio State, but he said he believes the potential exists.